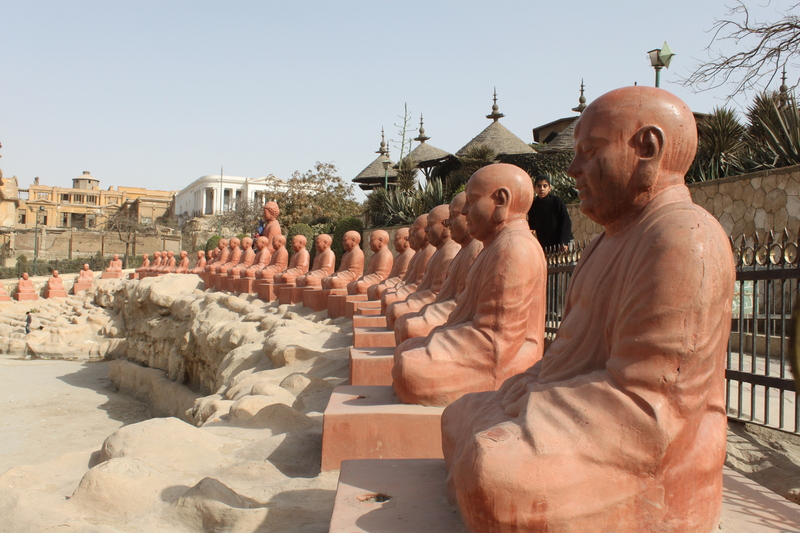 The Japanese Gardens in Helwan were constructed in 1917 and include fish ponds, canals, and fifty massive statues of Buddha. Under the statues are carvings of three monkeys in the positions of ‘Hear no evil, speak no evil, see no evil,” Although the garden was once a logical part of the neighborhood, which catered to Egypt’s notables as a winter getaway, now it is a dusty relic surrounded by bustling markets and abandoned factories. Definitely worth a walk around and the 45 minute metro ride from downtown.